"We aim to deliver a one-of-a-kind mixed-use project that blends heritage and innovation, connects all important infrastructure and transportation, embraces a green concept reflecting our prime position opposite Lumpini Park, and delivers enduring value for all our stakeholders," said Ms. Suphajee Suthumpun, Group Chief Executive, Dusit Thani Public Company Limited. "By blending the best of Thai design and hospitality with international standards of service, we will create a new city landmark that reflects our past, embraces our present, and anticipates the future, and, by doing so, we will continue the legacy of Dusit Thani Bangkok following the same principles Thanpuying Chanut Piyaoui had when she founded the hotel – to be bold and do great things, to create things that never existed before, and to always have a positive impact. We look forward to working with CPN to doing just that under our promise, Here for Bangkok, while revolutionising the way people shop, dine, work, live and stay in this area. Regarding our most distinctive value, our project will enhance convenience for commuters by linking directly with the Bangkok BTS (Skytrain) systems and MRT (Mass Rapid Transit underground), at Silom and Sala Daeng stations, respectively." Ms. Wallaya Chirathivat, Deputy CEO of Central Pattana Plc. (CPN), said, "Under the concept of Here for Bangkok, this project is not just a mixed-use space but a new creation that will transform this area into the prime core of the CBD ("Super Core CBD"). Ultimately, Dusit Central Park will connect four Bangkok neighbourhoods in four directions - namely Ratchaprasong (north), Charoenkrung (south), Sukhumvit (east), and Yaowarat (west) – thereby creating a new junction where old meets new, and financial meets commercial. This seamless connection responds to both business and lifestyle needs. 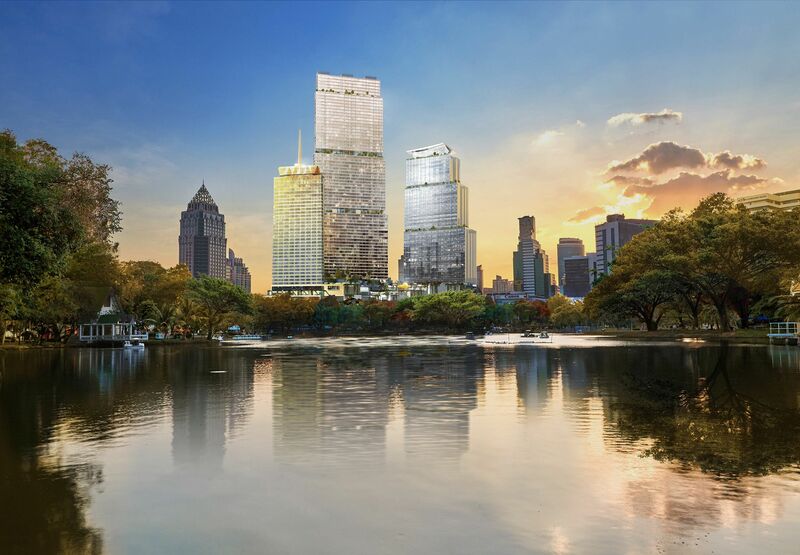 Dusit Central Park will be perfectly positioned to help bring Bangkok to a whole new level and set the standard for mixed-use projects in the city, as it locates next to Bangkok's major park, Lumpini Park, just like the iconic properties found adjacent to parks in New York and London." More information about Dusit Central Park is available at www.dusitcentralpark.com, www.facebook.com/dusitcentralpark and Instagram @dusitcentralpark. For details about Dusit Residences and Dusit Parkside, please visit www.dusitresidences.com or call +662-233-5889. For more information, contact Verve Public Relations Consultancy (VERVE).